KABUL, Afghanistan — Dozens of people killed in a brazen Taliban attack on a military base were members of Afghanistan's intelligence agency, officials said Tuesday, in a severe blow to the government that already has lost control of nearly half of the country to the insurgents. 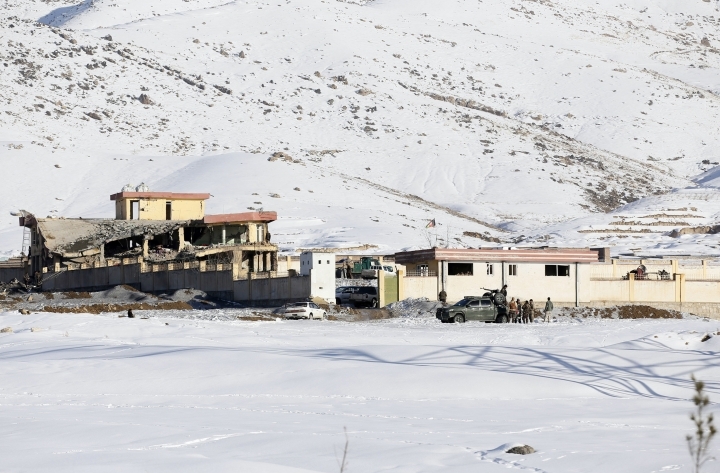 At least 45 people were killed and as many as 70 were wounded by a suicide bomber who drove an armored Humvee packed with explosives at the base in eastern Maidan Wardak province on Monday, the officials said. There were fears the death toll from the daytime assault could increase. The base, which also serves as a training center for pro-government militias, is run by Afghanistan's intelligence service known as the National Directorate for Security, or NDS. The NDS said its reports show 36 military personnel were killed and 58 were wounded. Though the agency's figures were lower than what provincial officials had reported, it was still an unprecedented casualty toll for the agency, among the best equipped and trained in Afghanistan. The agency said the suicide bomber had managed to penetrate the gate of the base on the outskirts of Maidan Shar, the provincial capital located about 40 kilometers (25 miles) from Kabul, even though guards fired at the vehicle. The Taliban claimed responsibility in a statement to the media just hours after the attack and later said its representatives met Monday with U.S. representatives to discuss "ending the invasion of Afghanistan" in talks that were to continue Tuesday. They are meeting in Qatar, where the Taliban have a political office. The timing of the attack, one of the worst Taliban assaults on Afghan forces in recent years, and the Qatar meeting that was meant to pave way for talks aimed at resolving Afghanistan's 17-year war, underscored the audacity of the insurgents in the face of stepped-up peace efforts. 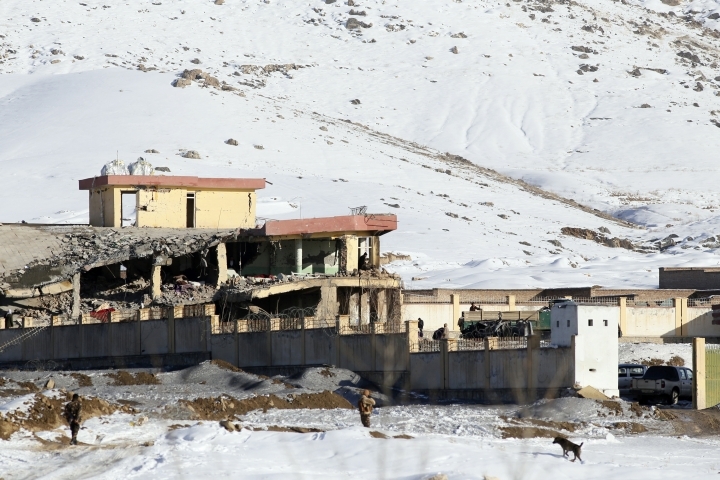 The Taliban now hold sway in almost half of Afghanistan and carry out attacks on a daily basis, mainly targeting the country's beleaguered security forces. "They had participated in so many operations alongside other security forces and had fought against insurgents," Sultani added. President Ashraf Ghani's office said the "enemy had carried out a terrorist attack against the intelligence agency's personnel, killed and wounded a number of honest sons of this homeland who were defending their country and protecting their people." An investigation was ordered, the statement added. The attack was a "tragedy and a big loss to the Afghan security forces," said Mirza Mohammad Yarmand, a former deputy interior minister and a military analyst. He said it was difficult to believe that the vaunted NSD could have lost such a high number of personnel in a single attack and that there must have been serious negligence on someone's part. He also said there were no other checkpoints along the highway leading up to the base to prevent the attack. The Taliban statement said they had met with U.S. representatives to discuss "ending the invasion of Afghanistan" in talks that would continue on Tuesday in Qatar. "Peace talks and negotiations are important and essential for Afghanistan, but not under these unacceptable circumstances," Yarmand said. "If such attacks continue, there must be a cease-fire agreement first." Last week, the Taliban threatened to walk away from the talks, accusing Washington of seeking to "expand the agenda" — presumably a reference to U.S. demands that the insurgents hold direct talks with the Kabul government.